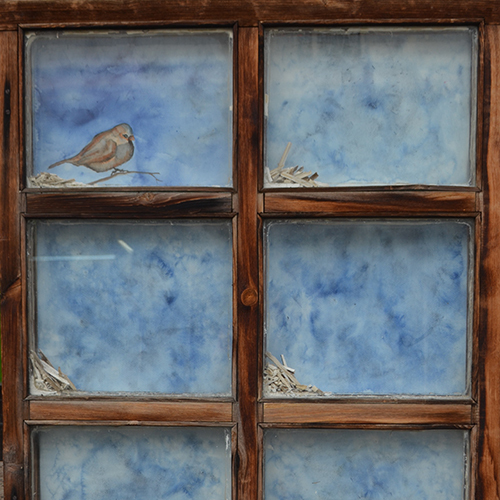 Six watercolour paintings and a wooden window used as an alternative frame to narrate the life of a small sparrow. Both the painting and the story behind it were created simultaneously. The Sparrow came from the Middle East; it was pushed aside while eating breadcrumbs before it discovered the containers that carried spices to Europe. 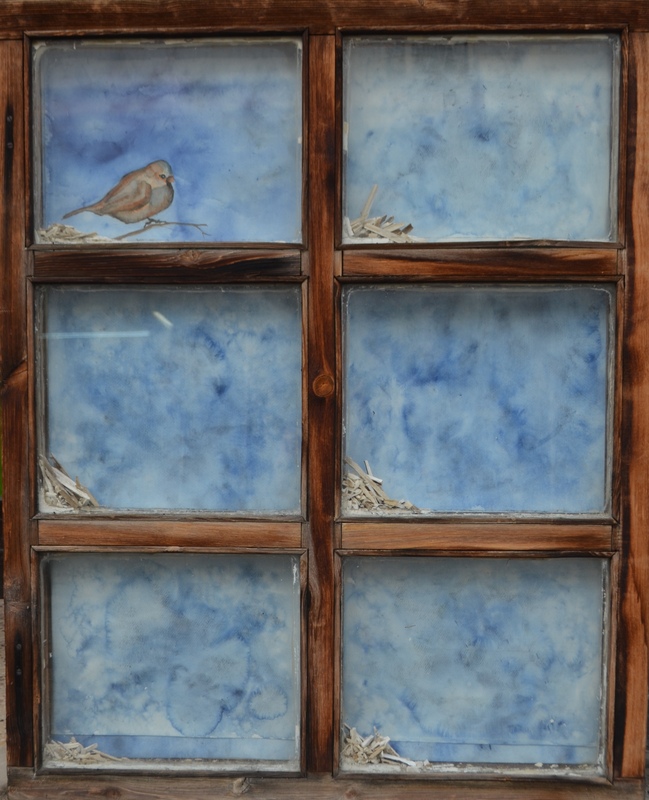 In Thessaloniki, the sparrow dared to fly for the very first time, but was again chased away. In the mornings, I started “accidentally” feeding it while cleaning my own table. It now eats obsessively and in fear of other sparrows that might chase it again. It lives on my balcony and I know that it keeps me safe.